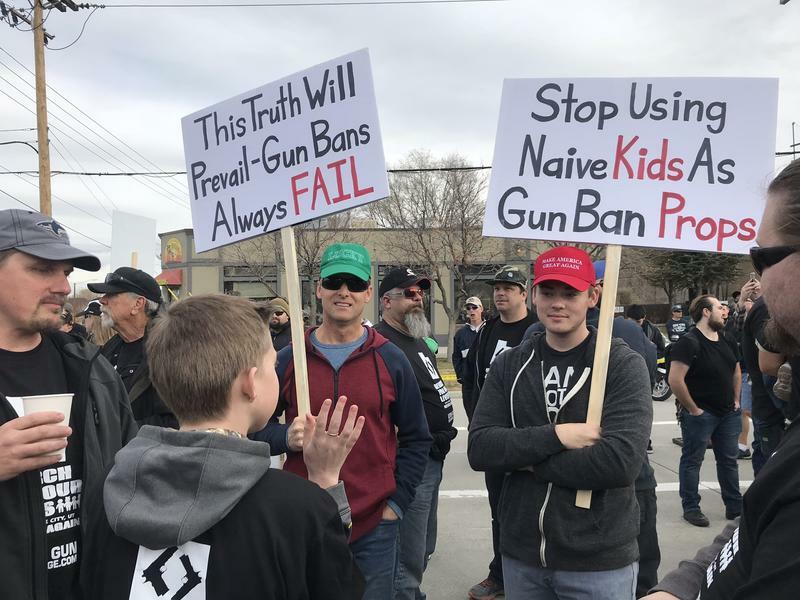 The Utah Gun Exchange held a counter-protest ahead of a student-led march for gun control on March 24, 2018. 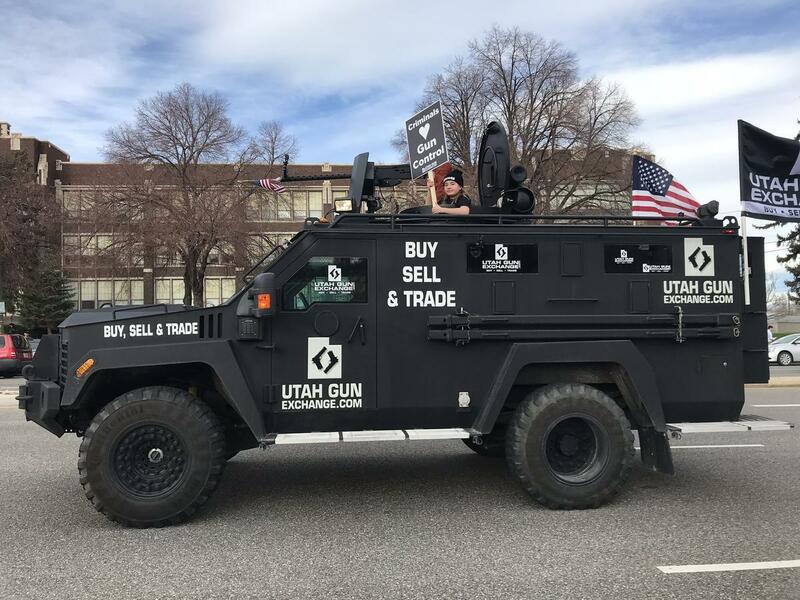 Members of the Utah Gun Exchange drove their trademark black armored truck from Utah to Chicago to support “peace and safer schools but stand strong on defending the Second Amendment,” according to a post on social media. But it didn't go quite as planned. “Four of us were detained down at the Chicago Police last Department, along with our vehicles,” said Bryan Melchior, co-owner of the Utah Gun Exchange. He said Chicago police made him wait about four hours while they inspected replica weapons mounted on his group’s vehicles. While he was detained, other members of the Utah Gun Exchange met with people at the peace rally. 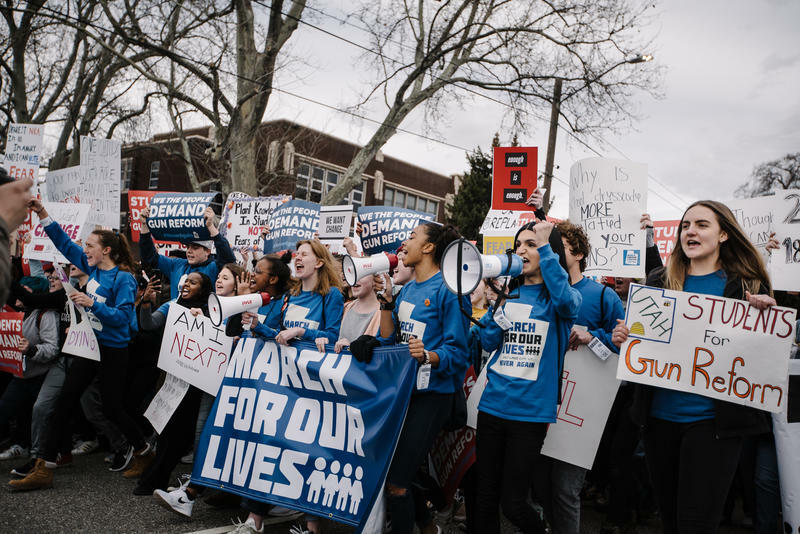 March for Our Lives – a movement led by survivors of the Marjory Stoneman Douglas High School shooting –began a road trip Friday to register young people to vote and discuss gun reform. The tour began in Chicago and has dozens of planned stops over 60 days – including one in Utah on July 14. The Utah Gun Exchange is on a road trip of its own this summer to promote the Second Amendment and school safety measures. “There are a lot of good people that are trying to make progress on these issues.," Melchior said. "And there are a lot of bad people and politics that don’t want that progress. That’s what it comes down to." Melchior has been documenting the trip in a series of videos posted to Facebook. “We’re out here to protect and preserve our constitution and our constitutional rights,” he said in one of the videos. The Utah Gun Exchange's armored truck grabbed the attention of at least one Parkland shooting survivor. “So somebody brought a buy/sell/trade tank to the PEACE march... yikes, guys. People are counter-protesting peace,” Cameron Kasky posted on Twitter alongside a photo showing the Utah Gun Exchange’s black truck in the background. Melchior’s group is also raising money for hurricane victims in Puerto Rico. The group plans to deliver the raised funds later on the trip. 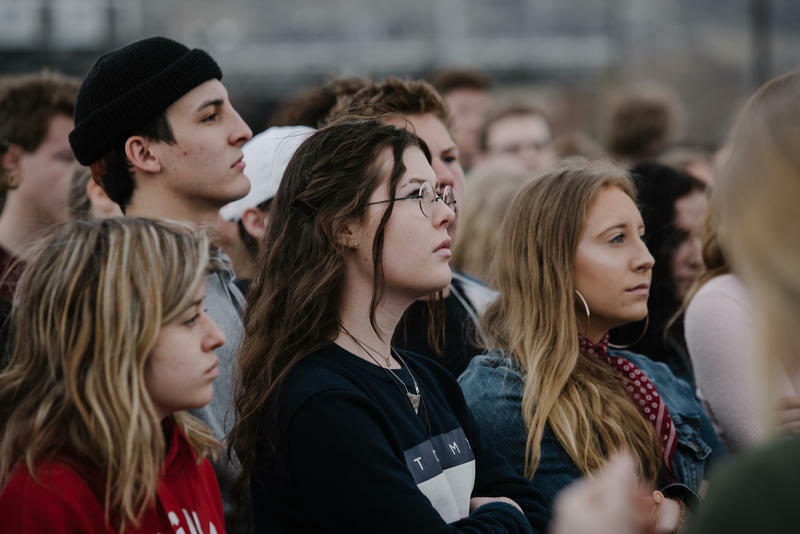 The Utah Gun Exchange clashed with the Salt Lake City chapter of March for Our Lives earlier this year when the group tried to hold a counter-protest in support of the Second Amendment at the same time the student-led group planned to march for gun control. The Utah Gun Exchange eventually rescheduled its rally to begin an hour earlier. “On March 24th they came to Utah and excluded us. We will now be joining them in Chicago as part of our Freedom Tour and working to keep the March actually about peace and not an anti-gun movement,” the group wrote on Facebook. June 17, 2018: This story has been updated with comments from an interveiw with Bryan Melchior.